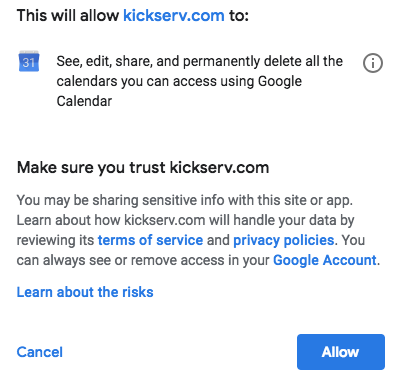 If you've connected your Kickserv account to Google, and have noticed that your events are no longer showing up on your Google Calendar, you may need to reconnect Google and Kickserv. Because of the way Google's authentication works, any time you change your Google password or any other security setting, all integrations connected to Google are invalidated. This is a security measure by Google to prevent unauthorized access to your Google account. This situation is easily reversible though. You just need to disconnect Google from Kickserv and then reconnect. In the left-side main navigation menu, click Calendar. Click Calendar settings at the top right of the calendar. Click Google Calendar sync settings. Click the Disconnect Google Calendar link. 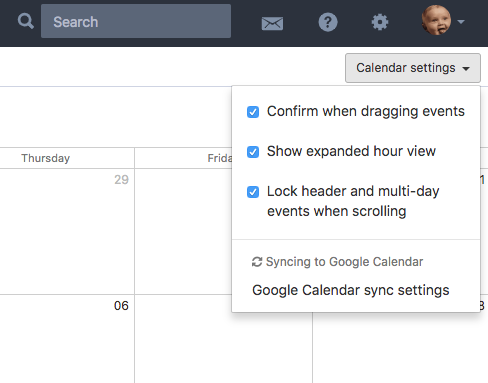 Click the Calendar settings dropdown again, and this time click Setup Google Calendar sync. 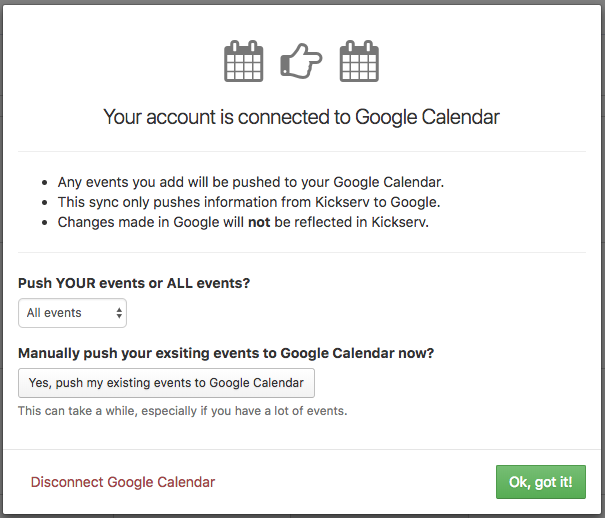 Click Connect to Google Calendar. You'll be taken to Google's login screen, where you'll be asked to login (if you aren't logged in already). Once you've done that, you'll see a screen titled kickserv.com wants to access your Google Account. 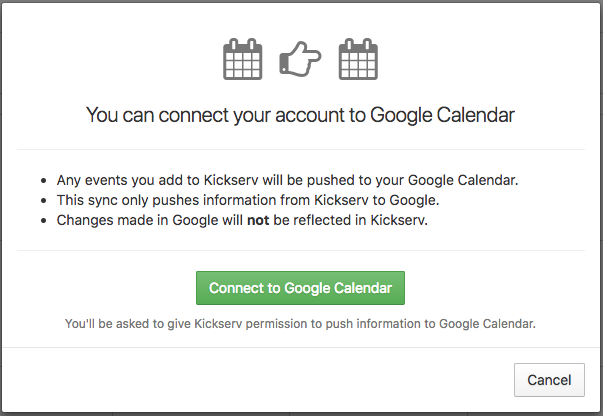 You'll be taken back to your Kickserv calendar, and all your events will once again synchronize over to your Google calendar. Important: anytime you change your Google password or any other security settings, you'll need to repeat this process.